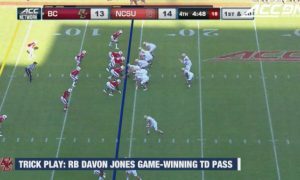 NC State (3-1) gave Wake Forest (4-1) their first loss of the season, beating the Demon Deacons 33-16. 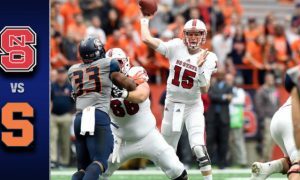 The Wolfpack were led by quarterback Ryan Finley finished with 300 yards and three touchdowns on 23-of-36 passing. 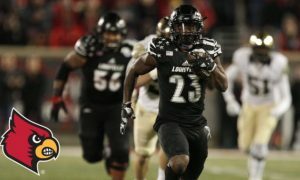 Running back Matthew Dayes ran for 125 yards and a touchdown on 24 carries and reciever Stephen Louis caught four passes for 102 yards. Wake Forest quarterback John Wolford completed 25-of-his-41 attempts for 263 yards and a touchdown. Receiver Tabari Hines had 125 yards receiving and a touchdown on nine receptions.